A vast peatland in the Congo Basin has been mapped for the first time, revealing it to be the largest in the tropics. 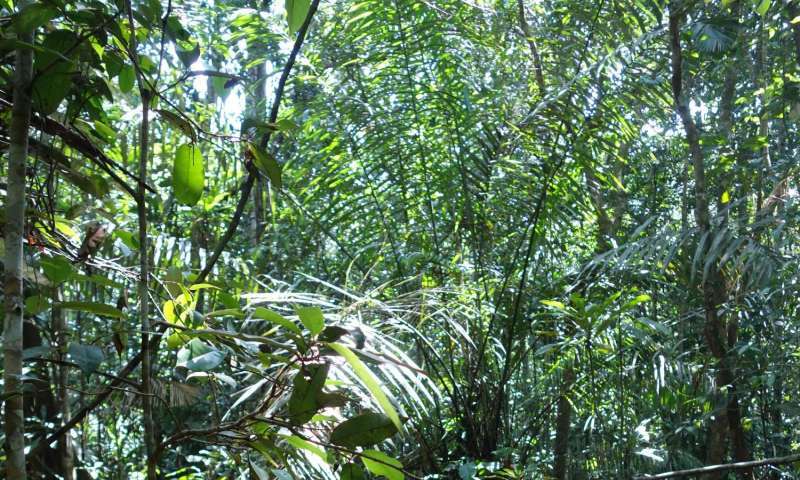 The new study found that the Cuvette Centrale peatlands in the central Congo Basin, which were unknown to exist five years ago, cover 145,500 square kilometres—an area larger than England. They lock in 30 billion tonnes of carbon making the region one of the most carbon-rich ecosystems on Earth. The UK-Congolese research team spent three years exploring remote tropical swamp forests to find samples of peat for laboratory analysis. Their research, published today in Nature, combined the peat analysis with satellite data to estimate that the Congo Basin peatlands store the equivalent of three years of the world's total fossil fuel emissions. Co-leaders of the study, Professor Simon Lewis and Dr Greta Dargie, from University of Leeds and University College London first discovered the peatlands', existence during fieldwork in 2012. Professor Lewis said: "Our research shows that the peat in the central Congo Basin covers a colossal amount of land. It is 16 times larger than the previous estimate and is the single largest peatland complex found anywhere in the tropics. We have also found 30 billion tonnes of carbon that nobody knew existed. The peat covers only 4 per cent of the whole Congo Basin, but stores the same amount of carbon belowground as that stored above ground in the trees covering the other 96 per cent. "These peatlands hold nearly 30 per cent of the world's tropical peatland carbon, that's about 20 years of the fossil fuel emissions of the United States of America." Dr Dargie said: "Our 2012 discovery of the Congo Basin peat gave us just enough insight to refine our searches. In 2014, when we found the deepest peat deposits in the most remote areas of swamp we realized the importance of the Cuvette Centrale peatlands. "The sheer expanse of these peatlands makes central Africa home to the world's most extensive peatland complex. It is astonishing that in 2016 discoveries like this can still be made." Professor Lewis added: "Our new peatland map is the first step in understanding this vast ecosystem. These swamp forests have been wrongly classified in all previous maps. I hope our work encourages much more investment in this neglected region to better understand the role of peatlands within the global carbon cycle and the climate system." Peat is an organic wetland soil made from part-decomposed plant debris, more commonly found in cool environments. Healthy peatlands act as carbon sinks, removing carbon from the atmosphere through plant growth. Further decomposition of the peat is prevented by its waterlogged environment, locking up carbon. Year-round waterlogging is needed for peat to form in the tropics. If peatlands dry out, either through changes in land use such as drainage for agriculture or reduced rainfall, further decomposition resumes, releasing carbon dioxide into the atmosphere. Professor Lewis said: "Peatlands are only a resource in the fight against climate change when left intact, and so maintaining large stores of carbon in undisturbed peatlands should be a priority. Our new results show that carbon has been building up in the Congo Basin's peat for nearly 11,000 years. "If the Congo Basin peatland complex was to be destroyed, this would release billions of tonnes of carbon dioxide into our atmosphere." The study places the Democratic Republic of Congo (DRC) and the Republic of Congo (RoC) as the second and third most important countries in the world for tropical peat carbon stocks. In first place is Indonesia, as it contains tropical peatlands across the islands of Borneo, Sumatra and New Guinea. These Asian islands have suffered damage or loss to about 94,000 km2 of peatland mostly by forest fires or drained for agricultural use over recent decades. The peat may also be vulnerable to the effects of climate change in two ways, if rising temperatures increase evaporation, or if average rainfall is reduced, to a level when the peat begins to dry out. At this point the peat would begin to release its carbon to the atmosphere. Study co-author Dr Ifo Suspense, from the Université Marien Ngouabi in the RoC capital Brazzaville, said: "The discovery of the Cuvette Centrale peatlands could have a large impact on the climate and conservation policies of the Congo. The maintenance and protection of this peatland complex, alongside protecting our forests, could be central Africa's great contribution to the global climate change problem. "It is of the utmost importance that governments, conservation and scientific communities work with the people of the Cuvette Centrale to improve local livelihoods without compromising the integrity of this globally significant region of Earth." In addition to their status as a globally important region for carbon storage, the Congo Basin swamps are refuges for endangered species including lowland gorillas and forest elephants. Dr Emma Stokes, Director of the Central Africa Program of the Wildlife Conservation Society said: "This research highlights the immense significance of these swamp forests for the stability of our climate. However, these forests, in the geographical heart of Africa, are also a vital refuge for many thousands of great apes, elephants and other large forest mammals that are threatened by developments in the surrounding landscape. "The RoC government is considering the expansion of Lac Tele Community Reserve, a move that could safeguard an additional 50,000 square kilometres of swamp forest - much of it overlying peat - from future disturbance. We strongly support this move and commend the RoC government for this initiative. We urge both countries to continue efforts to protect these habitats from industrial transformation." Dr Greta Dargie said: "With so many of the world's tropical peatlands under threat from land development and the need to reduce carbon emissions to zero over the coming decades, it is essential that the Congo Basin peatlands remain intact." 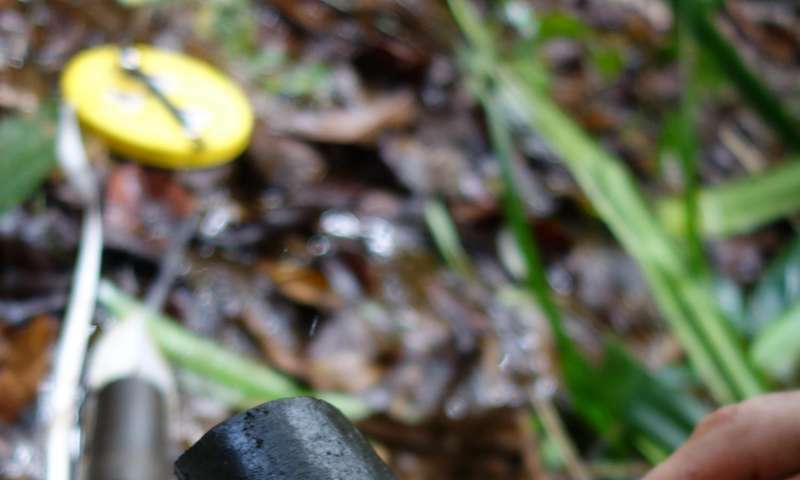 The study details the researchers' use of core samples to confirm the presence of peat soil and determine its depth. The average depth was 2.4 metres but at its deepest, it reached 5.9 metres - roughly the height of a two-storey building. The study used field measurements that confirmed the presence of peat, and the vegetation that overlies it, to determine that only two specific forest types have peat underneath: a year-round waterlogged swamp of hardwood trees and a year-round waterlogged swamp dominated by one species of palm. 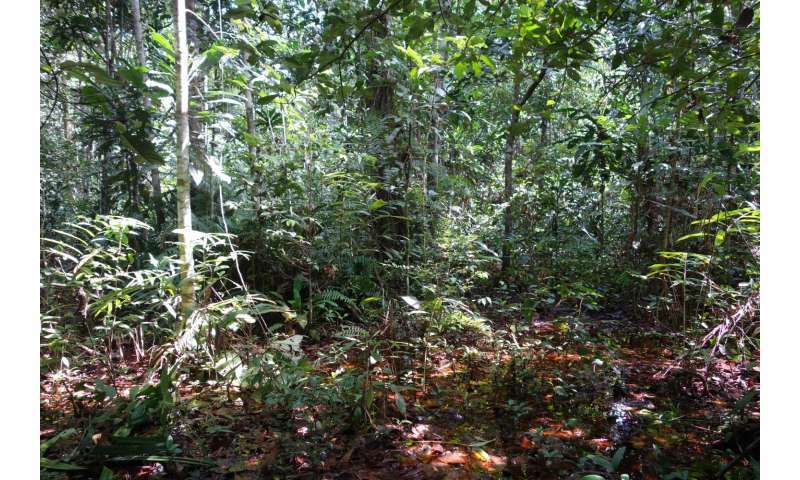 The researchers then used data from US and Japanese satellites to map the two specific peat swamp forest types across the whole region to determine the boundaries of the Congo Basin peatlands. Combining this area with peat depth and peat carbon content from the laboratory analyses allowed the total carbon stocks to be calculated. The Cuvette Centrale wetlands occupy about 10 per cent of the Congo Basin. About 40 per cent of the total extent of all the Cuvette Centrale wetlands has peat underneath.